social media innovation – RSQUARE MEDIA INC.
Facebook Fanpages (Facebook Business Pages) now natively support video and offer incredible functionality like automated customer service which can be programmed to respond to inquiries received on Facebook in real-time. 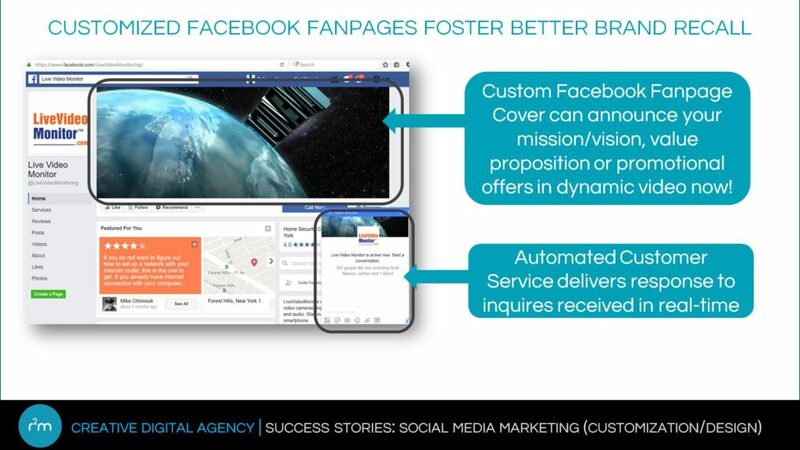 The cover area of the facebook fanpage now supports video – which can be used to showcase current product/service offers or promotions, organizational key initiatives, news & awards, etc. – the possibilities are endless.